Wedding entertainment averages less than 5% of the cost of the entire wedding yet no other vendor will have a bigger impact on your reception than your wedding entertainment. 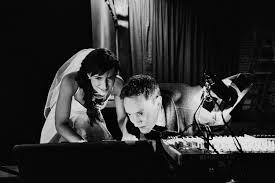 Pick a wedding DJ or band that you can depend on and is entertaining! So, how much is your wedding DJ going to cost? This depends on how comfortable you are with your DJ’s experience, equipment, personality, lighting and attention to detail. You should try unique things because your wedding is far from ordinary. This does not mean you need to break the bank with wedding DJ prices, but see what options are really worth the cost. 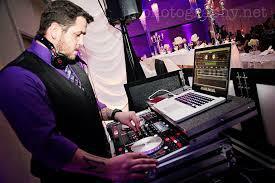 The typical wedding DJ cost will vary between $900-$2000. In the short term, the price you pay for your wedding DJ will definitely be a factor in your budget. 80% of the success of your wedding is based on the entertainment. If you want to have a great time, you should hire a DJ or band that knows how to run a good party! My recommendation is to stay far, far away from the cheapest and when you look for and interview potential DJs, look for someone whom you can trust and who’s company you can enjoy at your wedding reception. Wedding Ceremony – A wedding ceremony can be held anywhere from your local church to a park, lake or backyard. The number of guests that you invite will affect the cost of your wedding reception. The type of ceremony, from religious to contemporary to traditional, will also have an impact on the cost. To save money consider having an officiant preform your ceremony at your wedding reception site so you can avoid paying an additional location fee. On average, bridesmaids will spend an average of $1385 at your wedding according to Main Street. Honeymoons are $8 billion per year!